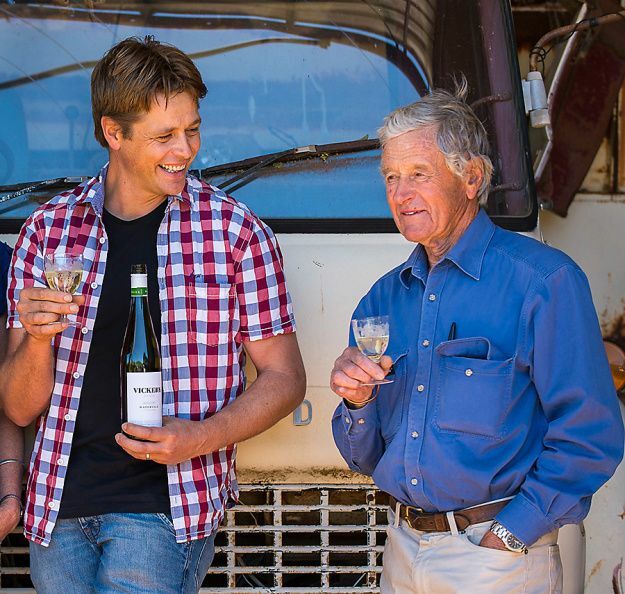 John Vickery : Riesling meister. One of my old Advertising shots of John Vickery for Leo Buring, now on John and Mary’s fridge ! In her 2003 ‘The Age’ article on Australia’s finest winemakers Jeni Port asked 50 Australian winemakers, educators, wine buyers and sommeliers to name their top three living wine makers. The voting was very close – only a few votes separated the top three winemakers, John Vickery, Rick Kinzbrunner and Brian Croser. Jeni described John as Australia’s greatest riesling master or meister the term Philip White likes to use. What are you currently do now. I am involved with WD Wines. Together with Phil Lehmann the wine-maker, we make two rieslings. Phil and John. Photo John©Kruger. They came along with the idea to market a wine with my name on it. We had long discussions about the label. I had my own ideas, I didn’t win. I wanted something more subtle, but they must have been right because it sold really well. In fact they didn’t tell me what the stock levels were and I had trouble getting some. Phil and I have a good working relationship. The 2016’s are looking very good. The Eden Valley is stylistically spot on in a floral style, as well as the favour intensity of the Watervale. I grew up in Lameroo in the Mallee area of South Australia. The love of my life was the land and the Mallee. My father was the headmaster at the local school. We lived there until we shifted to the city during the war in the early 1940’s. Grandfather was on the land. My father was born in the Murchison, North of Kalgoorlie. Vickery’s Meadow Dairy in Murchison. 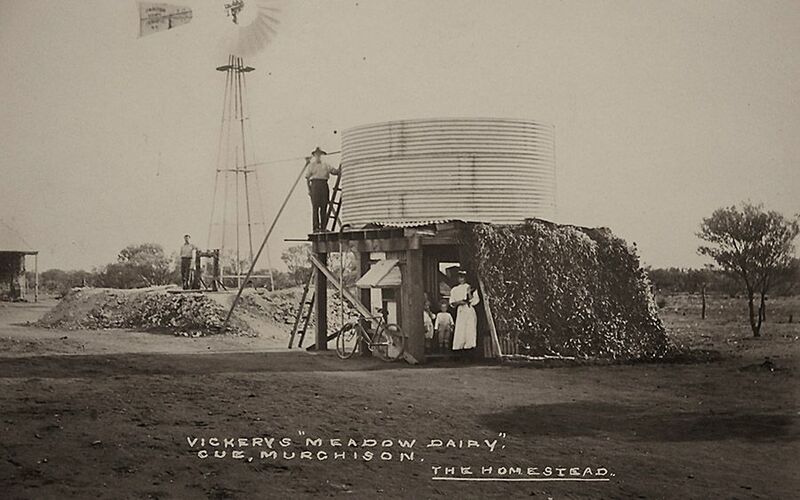 The family set up Vickery’s Meadow Dairy in the goldfields and delivered milk to the miners. To keep the milk cool he built a structure and grew ivy over it to cover it as a natural cooling system. All the stock food had to be bought up from down south on bullock wagons. They came back to South Australia in 1910. Story goes he had £10,000 in his pocket and some gold. My father would have been six then. They moved to Meadows in a property called Pinely on Vickery Road. It was burned down in the 1939 bushfires but the pine tress survived the fire and are still there. The whole family had been on the land except father who was head of the LeFevre High school and his brother Edwin who was also a school teacher. Father or someone else suggested that I should apply to study dentistry. Christ I thought, I’m not spending my life looking into people’s mouths so I got a Commonwealth scholarship and went off to Roseworthy to study agriculture. 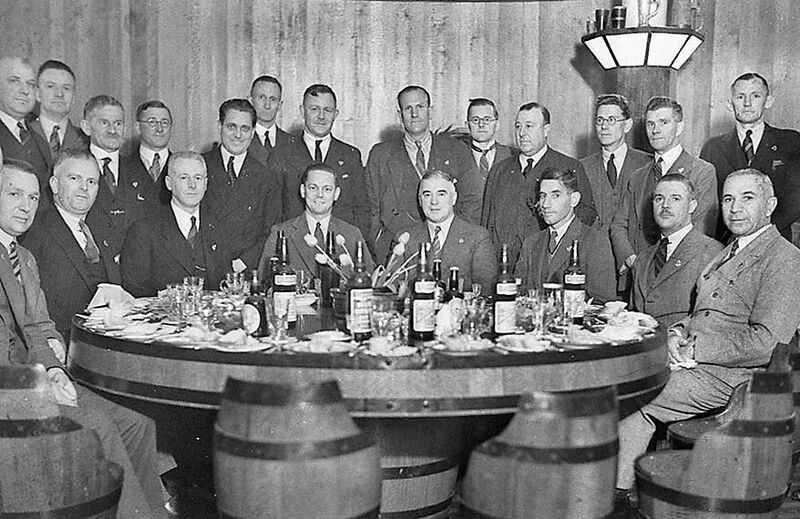 Wine tasting at Roseworthy College in the 1930’s : Taster in front, Ben Chaffey who founded Seaview, McLaren Vale SA, directly behind him and to the right Reg Shipster, who managed Leo Buring P/L, Tanunda : caption by Ian Hickinbotham. Image supplied by The South Australian Government. You’ve been involved in the wine industry for many years how did you start. I spent three years doing agriculture, and someone suggested the wine course. 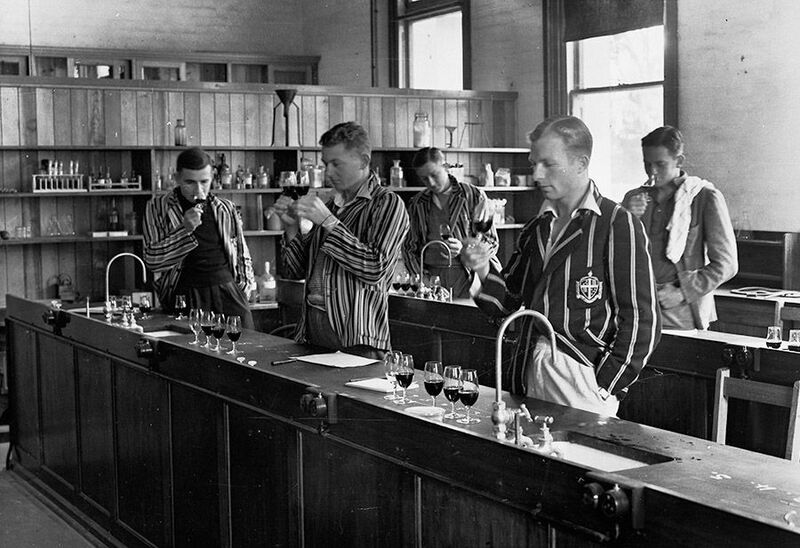 I didn’t have much interest in wine but I started the wine course or ‘Oenology’ as it was called then in 1953. 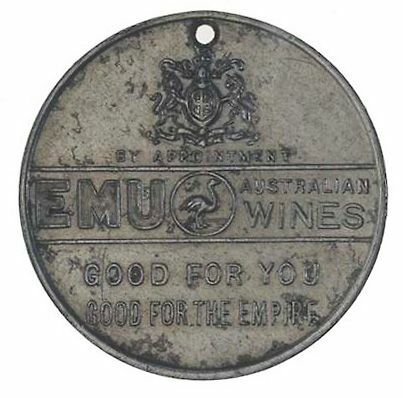 While I was a student I worked a vintage at the Emu wine company in Morphett Vale. It was a very modern winery with huge refrigeration plants, everything was chilled, very unusual in those years. I did another one at Woodleys winery owned by Tony Nelson. I drove a taxi at Port Adelaide at night for drinking pocket money and to pay the bills while I worked there. When ever I saw Tony later, his favourite saying when introducing me was, “this is the bloke who is famous for arriving late and knocking off early”. I matriculated from Roseworthy in 1955 and started at Leo Buring Proprietary Ltd as a junior wine maker. 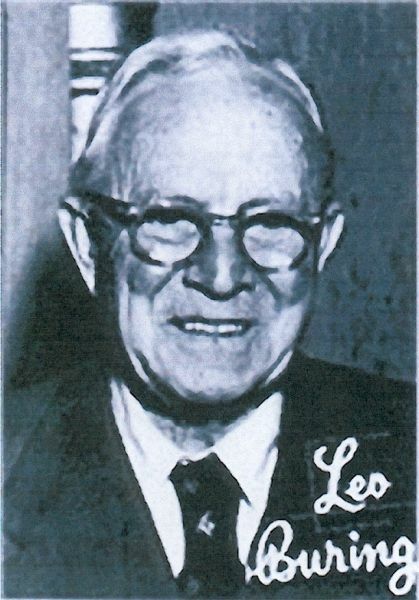 I was employed by the late Mr Leo Buring. Over the years I worked for Burings, then Lindemans , then Southcorp (now TWE) , then Orlando after they bought the Orange Grove winery. 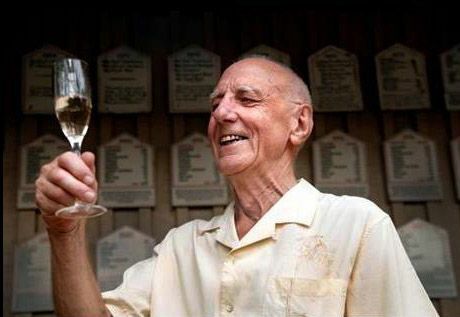 The original Orange Grove Winery was owned by Mr EG Hoffman. After his death Leo Buring bought the winery and built the Chateau Leonay. My boss in 1955 at Chateau Leonay was Reg Shipster. Reg was an ex army AIF personnel and served in the Eqypt and Greece campaigns. I was with Lindemans in the Coonawarra at Rouge Homme in the mid 1970’s . 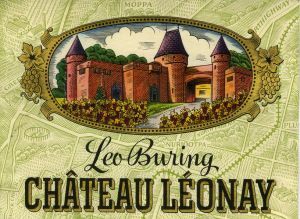 Early Leo Buring Chateau Leonay label. At that stage we had something like 250 grape growers in the Barossa, they shifted me back to the Barossa to handle the winery retrenchments in 1982. Fortunately Philip Morris looked after everybody in the winery, with very generous redundancy payments. I had tell most of the 250 growers that we didn’t want their fruit. All except a few growers that we had contracts with, from memory there were about 24 contracted growers. Leo Buring ‘DWC 17 A’ 1973 Eden Valley Riesling is one of Australia’s most famous white wines. You made it, do you reckon you have ever made a better wine and if so what was it ? The 1971 was excellent as were all the early 70’s up until 1973. One of the Waterfall vineyards : Photo John © Kruger. Wine : is it art or science or both ? I was always credited as being a bit particular, but I think you have to be to make good wine, particular white wine, and it helps with red wine as well. We had a good grounding in science and chemistry at Roseworthy. 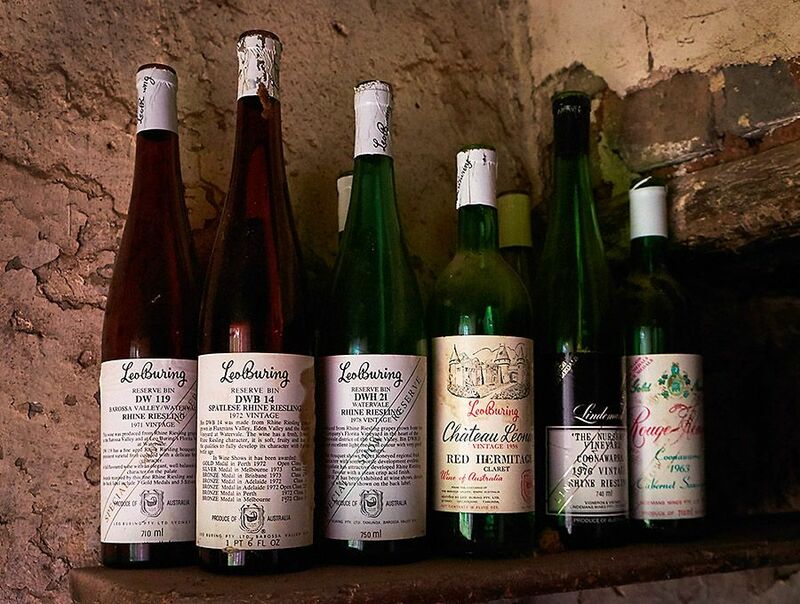 What we did in the early 60s was develop systems to make fresh un-oxidised wines. I think our first show award was in 63. What causes that honeyed flavour in older Riesling ? I have always attributed that to phenolics, poor handling, oxygen or poor quality corks. You get oxygen exchange through the cork. During the wine making process we preserved or blanketed the wine with inert Co2 gas or a nitrogen mixture to prevent oxidation. Leading on from that comment, Rick Burge asked me to ask you. What you think of dry ice and oxygen ? We did use dry ice in the early days. We’d float a plastic container of dry ice on a chain, it’s heavier than air so it diffused the CO2 putting a blanket over the wine. We had facilities for gassing tanks at Burings in the late 60’s and early 70’s. We were doing these things quite early. Before the rest of the industry became aware of it. Karl Stockhausen. 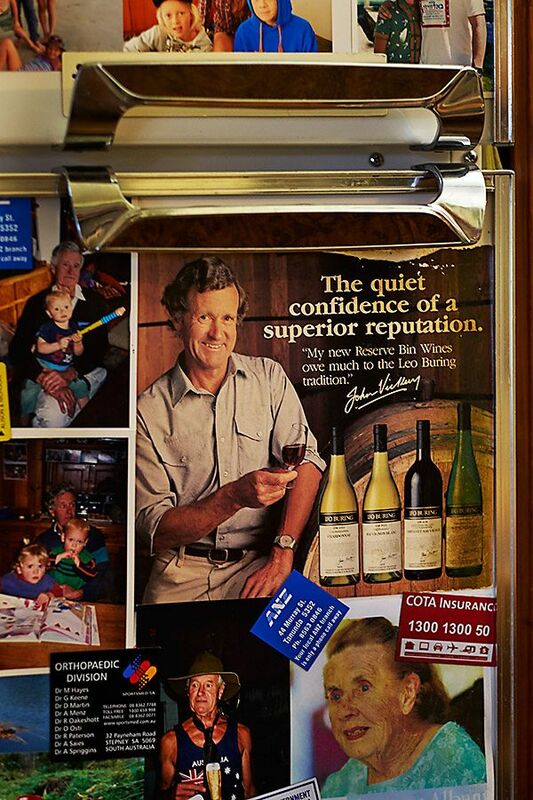 Photo © Briar Ridge, Wine Australia. Ray Kidd was the technical Director and then MD of Lindeman’s. Ray introduced us to this system, he was a thinker and that was the secret of our success. Everyone else was making phenolic oxidised rieslings. We never had stainless steel tanks when we first started making rieslings, only underground concrete tanks. When I see what Phil has to play with in that Rockland winery it’s amazing ; all the toys, it’s quite amazing, anyway it was much more basic in our day. Karl Stockhausen was using a similar technique in the Hunter making very fresh attractive Hunter semillons . So that was the concept, we were streets ahead of the opposition. In 1949 Ian Hickinbotham or Hick as I like to call him, was investigating malolactic fermentation as a student at Roseworthy. 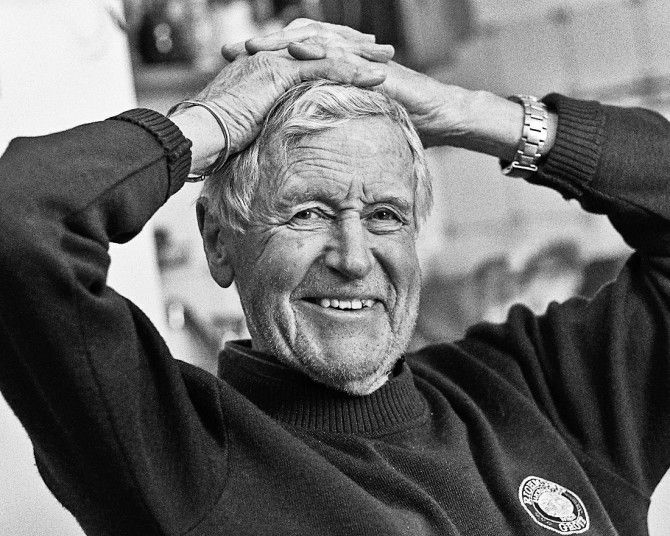 Ray Beckwith was always credited with the use of seeding wines for malolactic, but Hick was very conscious of MLF in winemaking when a student. A bit later Wynns bought into the Coonawarra. Hick was the manager down there, and the vines needed pruning. I was still a student at Roseworthy, there was a note on the student noticeboard ‘Pruners wanted at Coonawarra’. A group of us went down as a pruning team for a couple of weeks during the holidays. It was wet and bloody cold. That’s when I first met Hick, he’d put the notice up looking for pruners. What’s your favourite my style ? Riesling of course and the more attractive modern chardonnays. For a red give me an elegant cabernet. The Leo Buring DWC 17, a 1973 Eden Valley Riesling as I mentioned above was very memorable, but as I also said the 71 DWA 15 was excellent as well. Luckily I still have some of these early vintages. There have been other good ones but unfortunately riesling fell into the doldrums in the 80s.Australian wine drinkers were deserting riesling for heavily oaked and malolactic (ferment) chardonnay styles. The company wasn’t selling much riesling so in the mid-to late 80s we were not sourcing fruit for good quality reserve wines. There was no need as there was no demand, they had plenty of wine they couldn’t sell. You might recall we had floods here in the Barossa in 1983. The cellar flooded to the height of about 6 feet and we had a lot of the reserve stock in the cellar door so it cost Phillip Morris plenty, as did the rewiring of around 60 or 70 electric motors. I found a couple of 1973’s down there, they still had the mud on it, no label but I knew what they were because of the bottle style – it was amber. A few of John’s old favorites. Photo © Milton Wordley. I can still remember Philip Laffer coming into the flooded cellar. We were out in the middle in five to six feet of water trying to open the valves on the empty Stainless Steel tanks to get water into them to stop them tipping over. Anyone in particular that influenced you ? Not really, we all learned together in the early days. I got into riesling because I joined Burings. Mr Buring influenced me a lot in the early days. He was a wine merchant in Sydney. In those days the Hunter winemakers depended on the merchants in Sydney, none of them in the Hunter had labels so they relied on the wine merchants buying the wine. He kept a diary of his time there, all hand written and sketched. 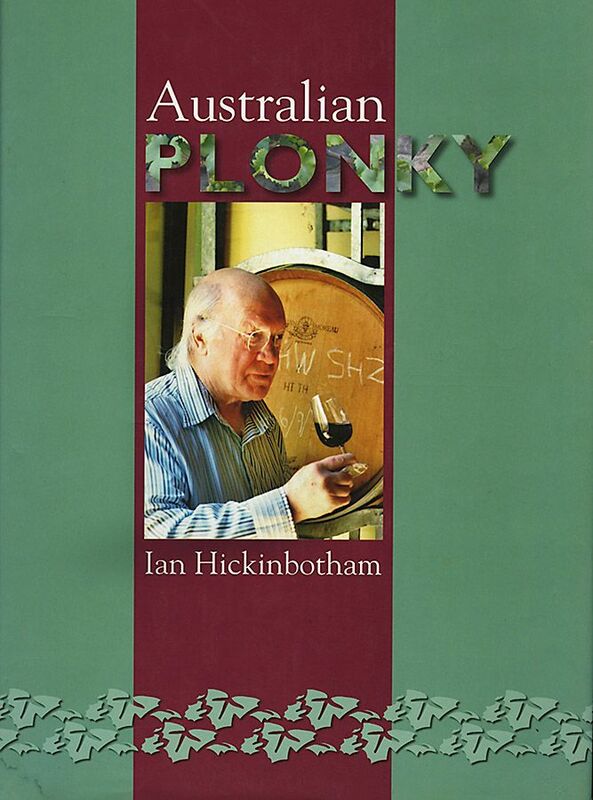 It’s a very historical document in the Australian wine story. After he died there were various sales and auctions. When I was at the Leo Buring Penrith office the diary came into my possession. We kept it there for a while. Later I arranged with Valmai Hankel for it to be held at the South Australian Mortlock Library. Gramps Orlando were the recognised riesling makers in the 50’s and 60’s. I learnt a lot from them. We aspired to try and get to the quality they were getting consistently. Ian Hickinbotham or Hick as I called him was a compatriot of mine at the time, he was pretty good. You are known for riesling, but in 1981 one of your wines won the Jimmy Watson trophy. We were experimenting in the Coonawarra with cooler ferments for cabernets which produced mulberry fruit characters. We won the Jimmy Watson with the 1980 St George vineyard cabernet. I didn’t get along to the presentation, I had the flu, I think Greg Clayfield went to collect the award. A quote from Jeffrey Grosset. The recent export figures are up. What was exporting like in the early days ? There was a lot of red wine export to the London firms Smith and Hoey and Grants of St James in those early days. It went in hogsheads, all loaded by hand onto a tray top then onto the rail down to Port Adealide. We even exported ‘Rinegolde’ to Britain, often still fermenting in wax line hogsheads on the way over on a boat and in bond store when it got there. Took two or three months in those days. Motorbikes. I have a collection out in the shed. John and his two favorite motor bikes an ‘AJS’ and an Ariel. Photo Milton © Wordley. My favourites are ‘AJS’, Matchless and an Ariel, all good English brands. 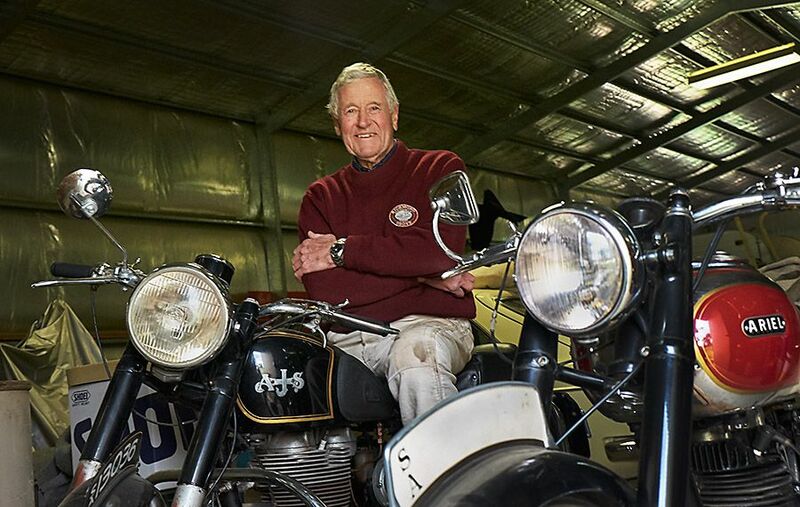 In February in 1952 Harold Tulloch of the Hunter Valley Tulloch Family and I both rode ‘AJS’s’ over the Nullarbor to do a vintage in WA. 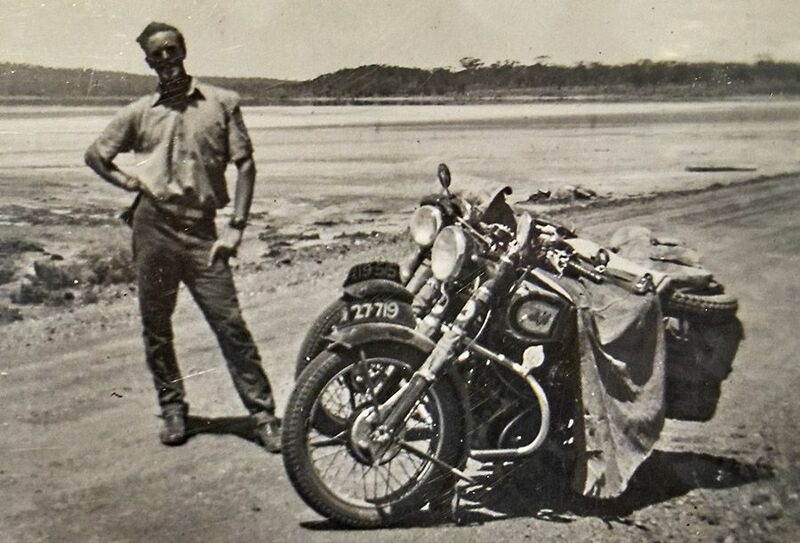 John half way across the Nullarbor with Harold Tulloch in 1952. Bloody hot. Port Augusta to Norseman, four and a half days across the Nullarbor in the bull-dust with no helmets. I suppose once you start, you just keep doing it. You never change, once you get into wine, it becomes your life. 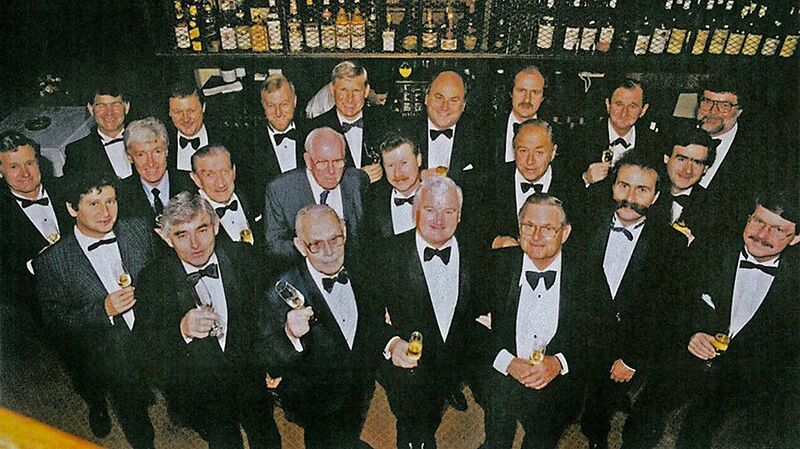 Adelaide Wine Show ‘1990 Judges Dinner’ hosted by Primo Caon at Chesser Cellars. L-R John Vickery, Anthony Rose, Primo Caon, Peter Wall, Robert Hesketh, Philip John, Max Schubert, Colin Gaetjens, George Fairbrother, Jack Kilgore, Tim Knappstein, John Duval, Len Evans, James Halliday, James Godfrey, Peter Lehmann, Darry Osbourne, Brain Barry, Geoff Merrill, Brian Walsh, Bob McLean and Chris Hatcher. For starters, simple garfish on it’s own served straight on the plate, my favourite fish, with some well made riesling. The VICKERY 2016 Eden Valley riesling. For mains, a great piece of steak, and an elegant cabernet. Followed by some of our home grown boysenberries and vanilla ice cream. The wine industry has been very kind to me. Right now I’m enjoying being involved with Phil; it’s a good partnership, he draws on me for my knowledge on the fruit selection, the balance, what I think about how much acid or residual sugar. It’s great to be invited and involved. I always wanted to get back on the land and we did that for a few years, we had about 40 acres in the Barossa with three heritage listed buildings. We were there for twenty five years. Recently we sold the land and have had a sea change.